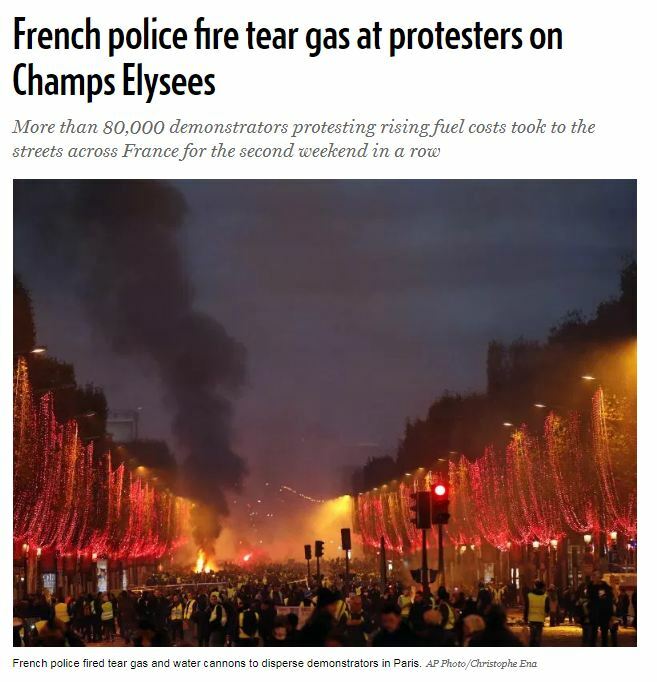 The protests in France over rising fuel costs and a general discontent with President Emmanuel Macron’s economic policies as the Euro declines resulted in them setting things on fire and police firing tear gas into the crowds. The police were also firing tear water cannons clashed with protesters in addition to tear gas. The protesters set a trailer on fire which exploded on the Champs Elysees. The protesters even attempted to attack the fire fighters. We are looking at the upcoming elections in France are going to be very dramatic.